How do I create my own invitation? First, find a photo that fits your theme and then check out the custom Photo Designs we offer. We offer many designs that allow one photo, as well as several which offer the ability to upload multiple photos. 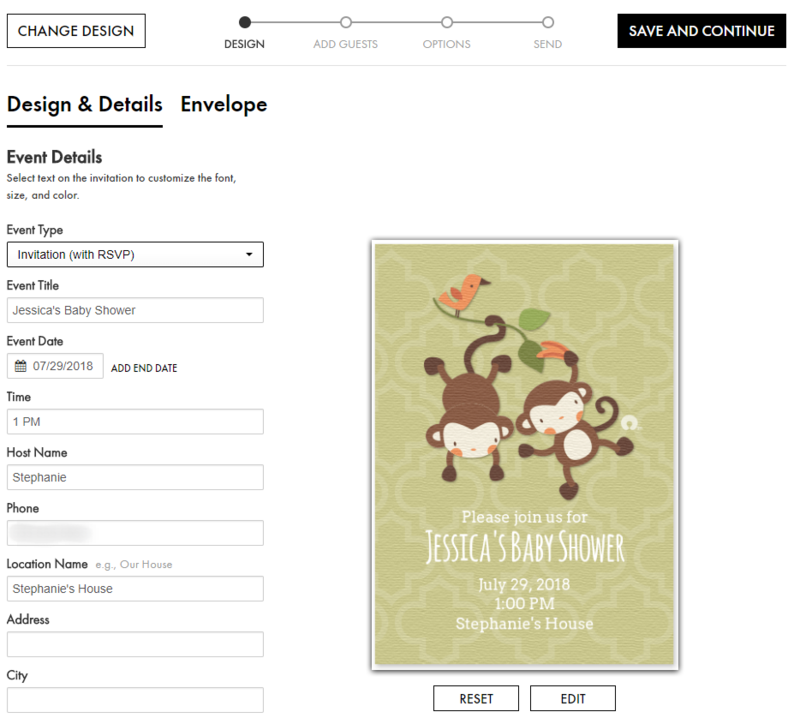 You can also choose to upload your own design. Select your design and proceed to the Design Studio where you can start to create your own. Look for the Add photo bubble on the design and then browse your computer or device for your image. Import your image and it will appear in your Photo Library where you can drag it to your design. Use the + and - icons to adjust the image as needed. Enter the rest of your event information and you'll have a one-of-a-kind invitation! 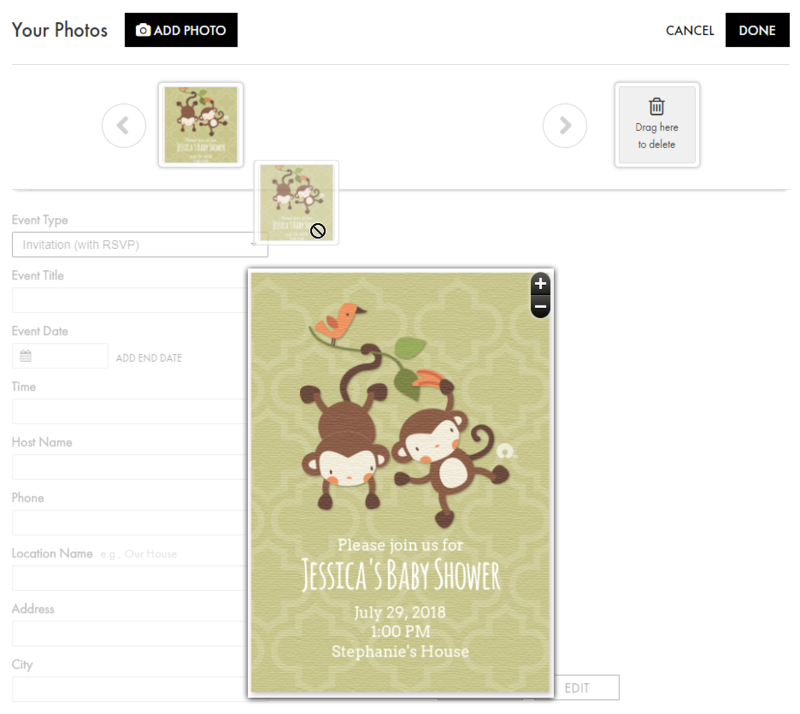 To create your own invitation using the mobile app, first, find a photo that fits your theme and then check out the custom photo designs we offer. Locate the Photo Designs category from the Invites tab of the app. Next, select the design you'd like to use. 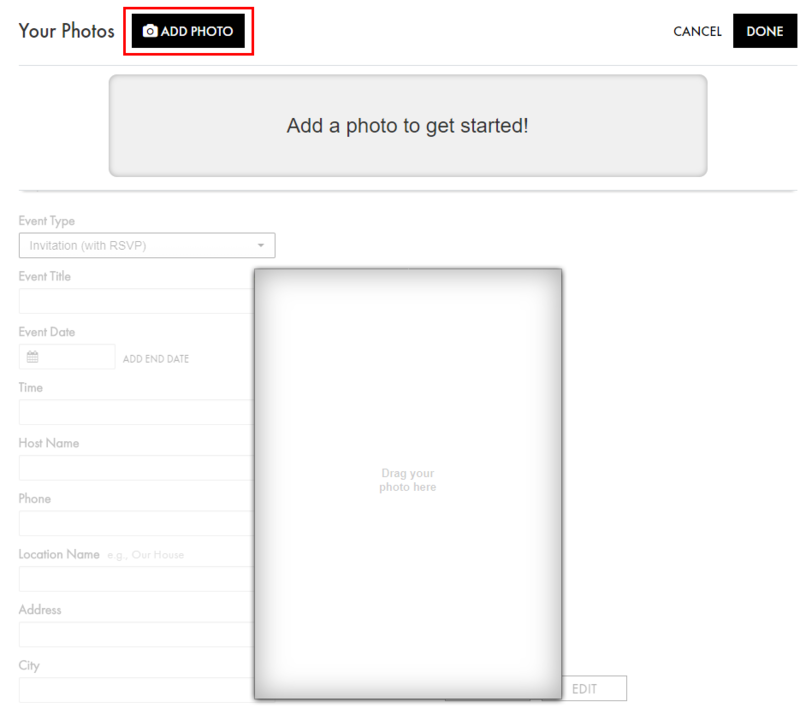 After entering in all of your event details, look for the Add Photo bubble on the Edit Design page and then browse your device for your image. From there, you will be able to resize and crop your image. 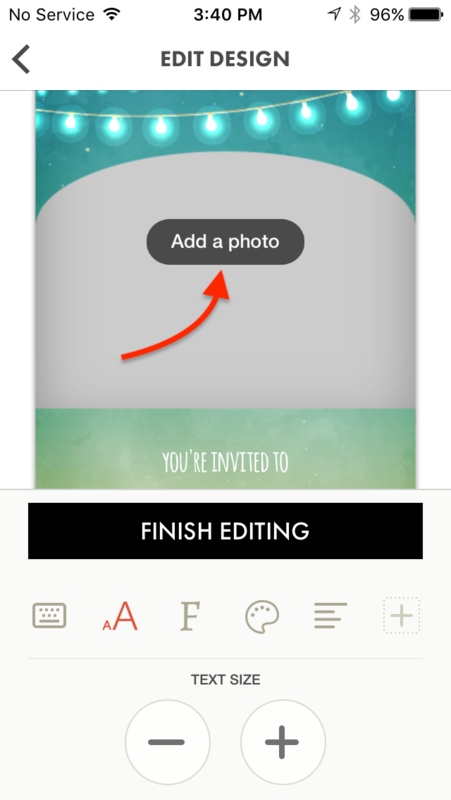 Tap on the check mark to continue and then the Finish Editing button to proceed with the rest of your invitation.